Helsinki is at its best during the summer. Want to get to know the city by foot, by bike or by boat? It’s your choice! Everything is possible in Helsinki. Maybe you want to take a ferry to visit some of the many islands around Helsinki, or enjoy a lively atmosphere of a flea market. Or how about just chilling in the park? Check out some of our recommendations below, view MyHelsinki website or explore #myhelsinki on Instagram. Helsinki offers a wide range of accommodation, from inexpensive hostels to luxury establishments. Get your hotel packages from our tickets & travel page or check the links below for hotels and hostels in the Helsinki area. Please note that Flow Festival does not have a designated camping area. CLARION LOVES FLOW! Welcome to Clarion Hotel Helsinki, an exciting new living room by the sea. 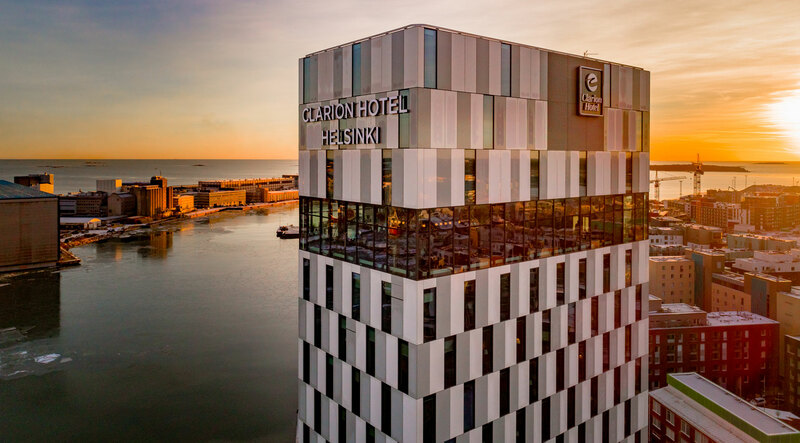 The sky-high hotel offers the best views in Helsinki. Don’t forget to enjoy their stunning rooftop pool and delicious cocktails at the sky bar. Public transportation will get you to Flow Festival in 30 minutes. Clarion offer a 15% discount from their daily room rates for bookings during August 10-12, 2018. Book your room through our Inhouse Sales with code FLOW2018. Breakfast, use of swimming pool, sauna and Wi-Fi connection is included. Subject to availability. Bookings: reservations.cl.helsinki@choice.fi or by phone +358 (0)10 850 3820. Get to know them on Instagram: @clarionhelsinki. Helsinki is surrounded by many beautiful islands which can be reached from the city center in just fifteen minutes. 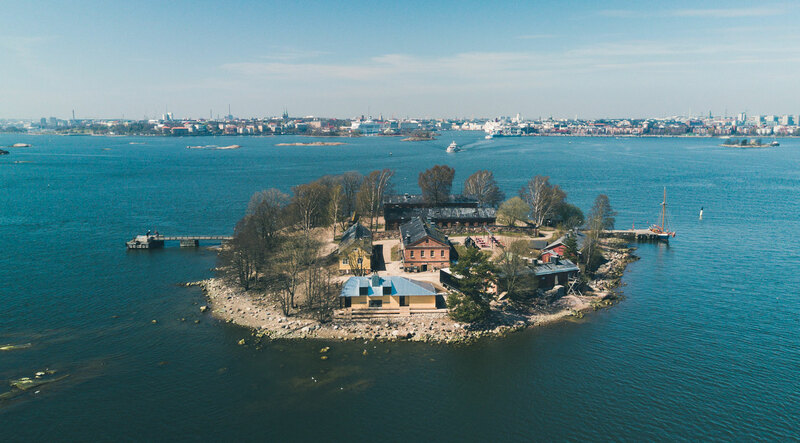 When you’re heading to the historical Suomenlinna Sea Fortress you can also visit Lonna, a small island with a nice restaurant, a waffle cafe and some hot parties during summer time! And if you feel like hiking and exploring the nature, Vallisaari island with its long military history, is the perfect choice for you. Or do you fancy chilling on the beach and swimming? Head to Pihlajasaari Island, the most popular summer island in the city. If you prefer staying on the dry land, Helsinki offers you a wide range of great parks, where you can have a nice picnic or just enjoy the easygoing atmosphere. How about the night life of Helsinki? In the heart of Kallio district, you’ll find the best clubs and bars Kaiku, Siltanen and Kuudes Linja. The places are known to be the hotspot for music fans with underground venues, spacious dance floors and a lineup of local and international DJs every week. Also Ääniwalli, a hyped club in a factory area of Vallila district, is known from their amazing sound system and great gigs. You can find more nightlife tips at MyHelsinki website. The restaurant scene in Helsinki is very innovative and offers you culinary experiences from fine dining to street food. Try our recommendations and find your way to the most interesting restaurants and loveliest cafés in Helsinki! Fancy a cup of coffee to start your morning after the best festival weekend of your life? You might want to check out some of these places. Or you can check out more restaurants and cafés at MyHelsinki. 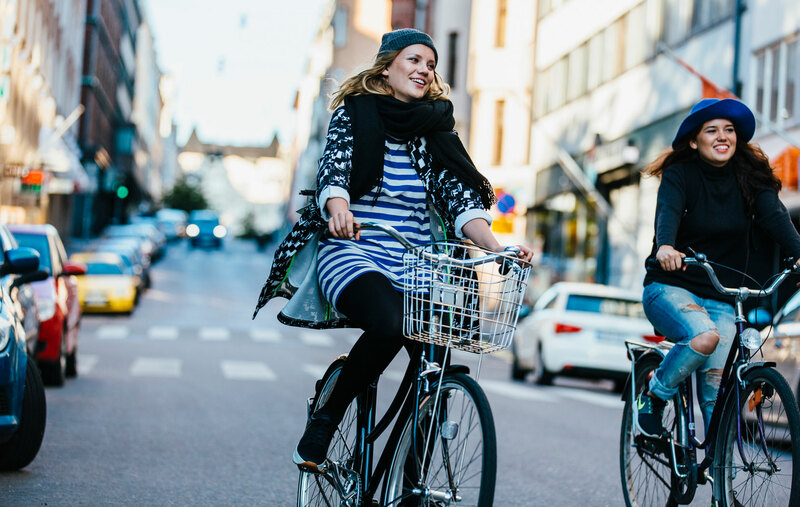 If you are interested in shopping, we recommend you to check out the website of Design District Helsinki, which offers a fantastic list of shops and boutiques in the Punavuori, Kaartinkaupunki, Kamppi and Ullanlinna districts. For example the TRE flagship store at the heart of Helsinki offers a great selection of Finnish fashion and design under one roof. There is a plenty of good vintage shops in Helsinki. 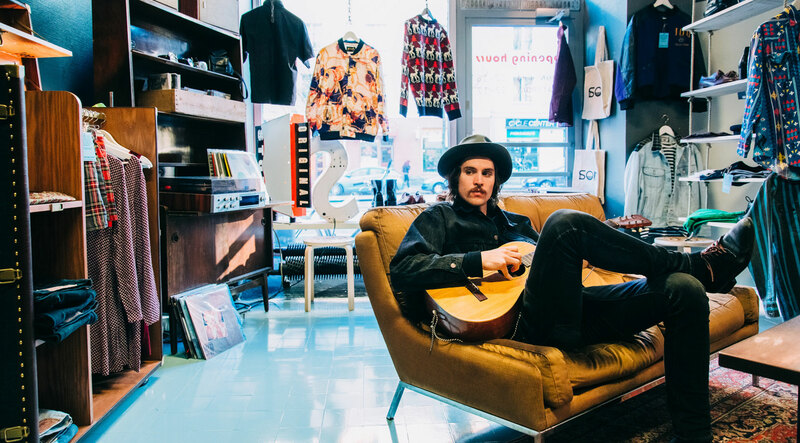 Stroll around Kallio, the area where you can find lots of small and unique vintage and secondhand stores, and pop in to some of our favorites like SOUL Vintage or Frida marina! 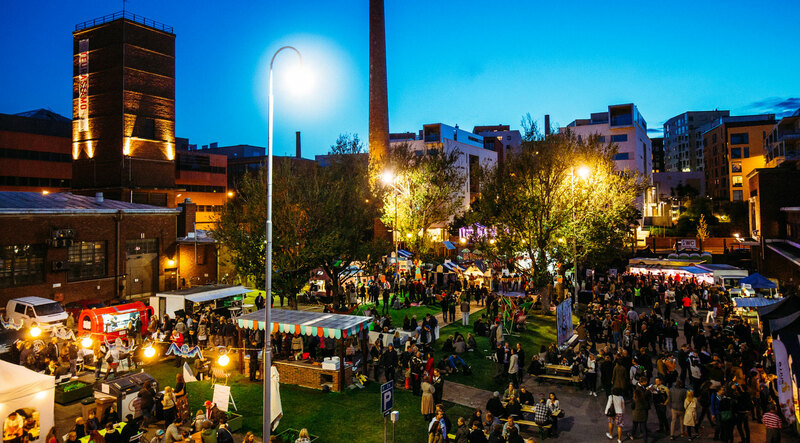 If flea markets are your thing, pay a visit to one of these bustling markets – for example Hietalahti flea market. See more shopping tips at MyHelsinki. There are many public saunas all over Helsinki city center. Brand new, architecturally significant Löyly with daily available saunas and a stunning terrace, is the place to be this summer. Another place to explore is Sompasauna which is a wood burning self-service public sauna maintained by a group of volunteers. If you are looking for things to do when you are not having a fabulous time at Flow, we recommend you to visit places like The Abattoir (Teurastamo), Tori Quarters or Rupla.